ISRAËL – - Israel’s Antiquities Authority (IAA) has launched a new Israel Archaeological Archive, to be accessible on the Internet in English, with a general explanation also available in Hebrew. 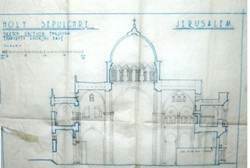 A Heritage Program jointly initiated by the Prime Minister’s Office and the IAA, the digital archive will feature tens of thousands of documents, photos, maps and plans from the period of British Mandate (1919-1948), ranging from Akko to Jerusalem. “The information constitutes the principal foundation of archaeological research of the past one hundred years,” noted a spokesperson at the Heritage Program in the Prime Minister’s Office. The new archive may be accessed at www.iaa-archives.org.il. FRANCE – Montceau les Mines – Boulodrome :Un four, des silex et autres outils de l’époque gallo-romaine ou néolithique, voire plus anciens, ont été retrouvés au lieu-dit Le Lucy. Quelques mentions de ce type sont recensées sur la carte archéologique de la Gaule qui recense tous les sites montrant un intérêt par département en France. « Il n’y a rien de véritablement connu sur Montceau comme étant des vestiges archéologiques », précise Marie-Noëlle Pascal, archéologue de l’Inrap. La société savante de la Physiophile, ayant suivi de près les travaux de construction du centre sportif en 1956, avait fait état de l’existence de vestiges gallo-romains. Aucun travail scientifique n’avait été mené à l’époque.La proximité de ces deux sites a motivé ce diagnostic d’archéologie préventive, déclenché quand des travaux d’aménagement affectent ou sont susceptibles d’affecter des éléments du patrimoine archéologique à terre et sous les eaux. MALI – - UN cultural agency UNESCO on Tuesday urged Malian and French forces fighting in Mali to protect ancient cultural sites during air raids and ground attacks. "I ask all armed forces to make every effort to protect the cultural heritage of the country, which has already been severely damaged," UNESCO Director General Irina Bokova said in a statement. The rebels have since fled three key cities in the north, including Timbuktu, a UNESCO World Heritage site at a desert crossroads that was an ancient centre of learning. The extremists last year smashed up mausoleums of ancient saints and the entrance to the 15th-century Sidi Yahya mosque in Timbuktu, claiming the sites were blasphemous. "Mali's cultural heritage is a jewel whose protection is important for the whole of humanity," Bokova said. "The destruction of World Heritage sites in Mali in 2012, especially the mausoleums in Timbuktu, sparked a wave of indignation across the world, helping to raise awareness of the critical situation facing the Malian people," she said. 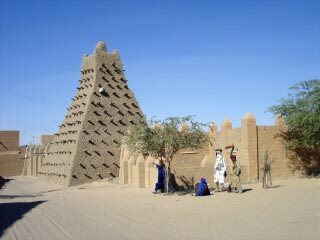 "The current military intervention must protect people and secure the cultural heritage of Mali." CHINE – Xi’an - A new archaeological site has been unveiled in China's Shaanxi Province. 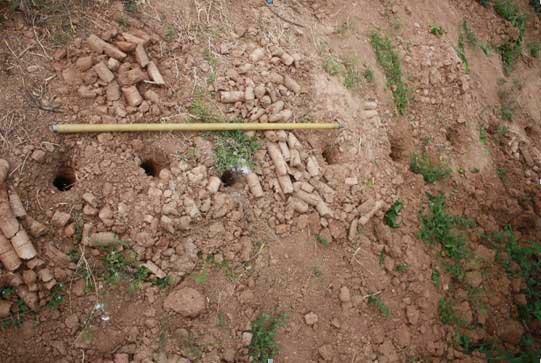 Two tombs from the Qin Kindom in the time of the Warring States are under excavation. The tombs can be dated back to over 2,200 years ago and are estimated to belong to the great grandfather of Emperor Qinshihuang, the first emperor of ancient China. The site is located in the Lintong district of Xi’an, the capital of Shaanxi Province. Experts have confirmed that the site covers a large-scale tomb complex, which includes two large graves, two sacrifice pits, 11 small graves and four architectural relics. Outside the range of the cemetery, there also lie 161 sacrifice pits and graves. The two main large graves have equal size and scale, with four tomb passages. Archaeologist Sun Weigang said, "The tombs discovered before this are in different shapes. The tomb of Emperor Qinshihuang, which is later in time, lies in a north-to-south direction and has walls surrounding it. This tomb here also lies in the same direction but has no walls, only ditches." The tomb is said to belong to King Qinzhaoxiang, the ruler of the Qin Kindom in time of the Warring States. At that time, China was divided into several kingdoms and endured tangled warfares. Under the 56-year rule of King Qinzhaoxiang, Qin was on the rise to its powerful peak. And his great grandson Emperor Qinshihuang, finally united the country and became the first emperor of China. ISRAËL – Jérusalem - The Ophel in Jerusalem sits at the heart of Biblical archaeology. The site’s rich research history stretches back to Charles Warren in the 1860s, and the Ophel continues to yield incredible discoveries to this day. The most recent Ophel excavation season, directed by Dr. Eilat Mazar, wrapped up on December 31, 2012, and archaeologists with the Herbert W. Armstrong College produced the following video on their informative website, The Key to David’s City. Watch the excavation in action! Examine a three thousand year old fire pit with supervisor Amir Kohen Klonymus, hear from the excavators, sponsors and their families, and find out about the hard work and exciting discoveries made in 2012 directly from Dr. Eilat Mazar. CHINE – Lingjiatan - In a bid to further ascertain Lingjiatan site's structure and function division, experts from the provincial Institute of Archaeology has spent more than four years to carry out a wide-ranging investigation. A series of archaeological discoveries provide important clues to reveal the natural and social background of the site. 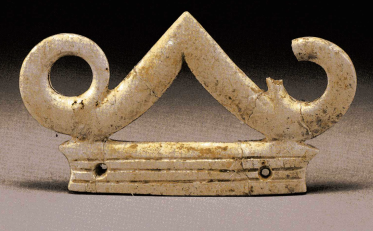 50-odd pre-Qin ruins were found in approximately 260 square kilometers around the Yuxi river basin, over 20 of which dated back to the Neolithic Age and more than 10 of similar years of the Lingjiatan site. And nearly 100 pre-Qin ruins were discovered in more than 400 square kilometers at Guxi river basin, according to Shuo Zhi, researcher of the provincial Institute of Archaeology. At present, Shuo is leading a group of archaeological volunteers by online recruitment to conduct in-depth analysis of results from four years' investigation and exploration. USA – Fort Myers - Archaeologists have begun excavating the first of several plots at the construction site of the newest Lee County library in downtown Fort Myers. The 3.4-acre site is within the boundaries of the city’s namesake fort. The military base, which held almost 60 buildings during its mid-1800s lifetime, was active during the Seminole and Civil wars. What happened on this particular spot, which period maps show held officers' quarters, barracks, privies and an arsenal, may never be fully known or understood because the digging is happening after the project’s almost done.